The Dark Cahill Flyfishing Dry Fly is a good trout surface fly. From the middle of May to September, depending on where you live, hatches of different varieties of light colored mayflies now commonly known as Dark Cahills can be found. This is a recent collective common name that covers many groups of the Heptageniidae family of mayfly insects. In the 1880's a New York railroad worker called Daniel Cahill developed a fly that became famous all over America, the Light Cahill. When he wasn't fishing or tying flies he was a brakeman on the old Erie and Lackawana Railroad. 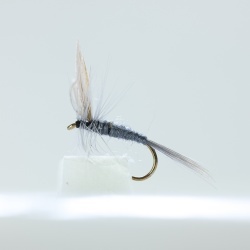 It is a great general imitation of summer mayfly duns. Just choose the hook size and color to match your local hatch. It was originally designed to imitate a family of mayflies with the name of Stenonema. They begin hatching in late May and continue through June. 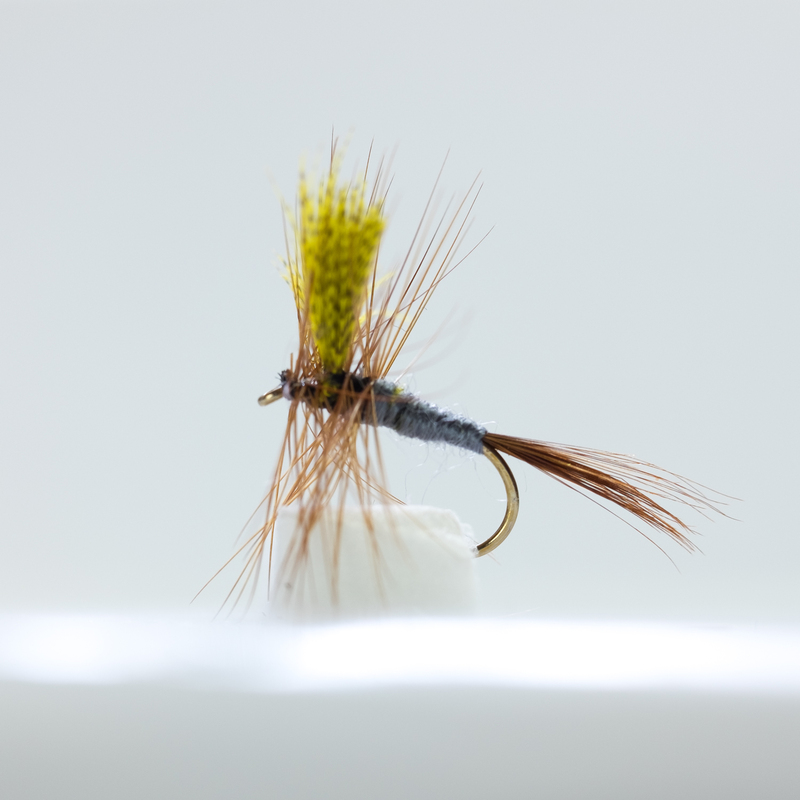 In smaller sizes the Light Cahill is a useful fly to imitate hatches of Pale Morning Duns, Pale Watery Duns, Spurwings, Pale Evening Duns and the Red Quill Mayfly. The Pale Morning Dun (PMD) hatch is normally in the summer and massive in numbers, triggering aggressive trout feeding. The hatch normally happens in slow, clear water. The PMD is normally best matched with a size 18 hook fly. 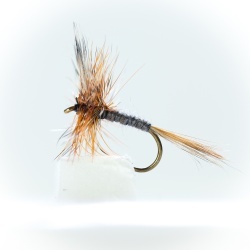 The Red Quill mayfly is not as widespread as other mayflies but if they live in the river you are fishing, you will find that this fly is an important insect to have imitations of. The reason being is that they occur in large numbers when they hatch and these are the flies that the trout want. Hatches are normally in the afternoon. Dan Cahill is also credited with the unscheduled stocking of some Eastern North American rivers and streams with Rainbow trout. The story goes that on one steamy hot summer's day Dan was working a Lackawana freight train north of Port Jervis. The train's progress was blocked by a derailed work train. Part of the freight being carried that particular day was a large water container full of live stock rainbow trout. They were starting to cook. They would not survive the delay. Dan took action to save them from certain death. He talked his work mates into helping him carry them back to Calicoon Creek and let them go free. It was almost a mile back along the tracks. Their offspring have eventually spread throughout the whole Delaware watershead. Art Flick in his book "Stream Guide to Natural and their Imitations" said of the Light Cahill pattern, "To this date I have never met a fisherman who had fished any stream where trout could not be taken on this fly. It is doubtful if any fly compares with it in popularity, especially in the East." Ray Bergman author of "Trout" in 1938 commented on the light Cahill, "If it was necessary to confine my assortment of flies to only two or three, this would be one of them." He stated that although it is particularly effective in Catskill waters and similar mountain streams it had served him well in Michigan, Wyoming and California. He said, it is a "killing fly."